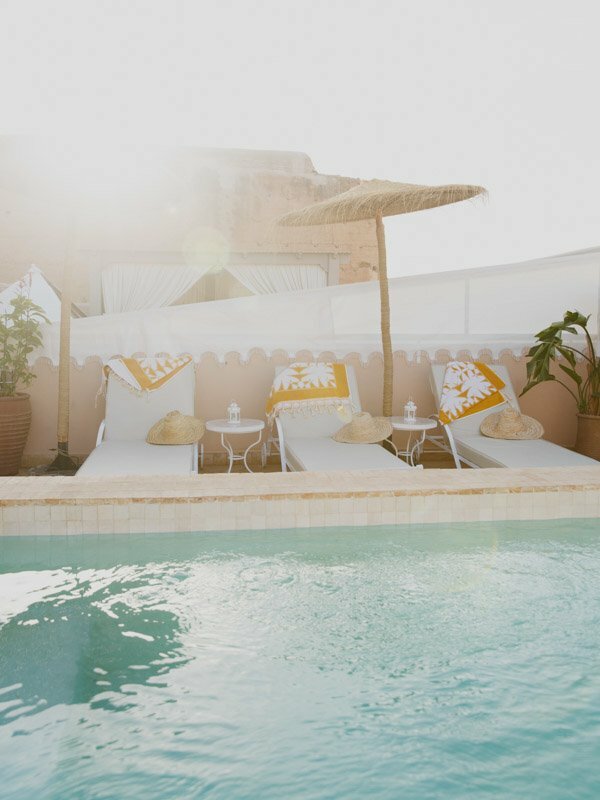 Riad Louhou has a swimming pool on the rooftop terrace which is a unique feature for a hotel in the medina. 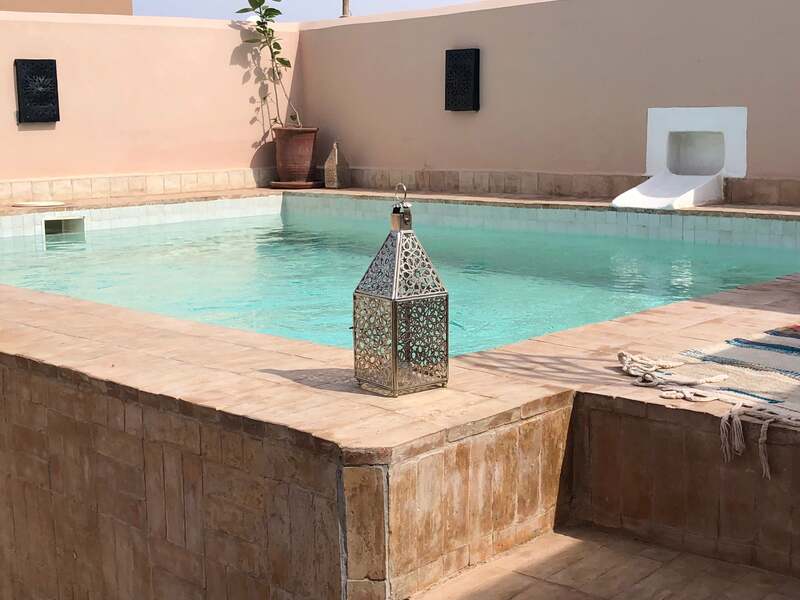 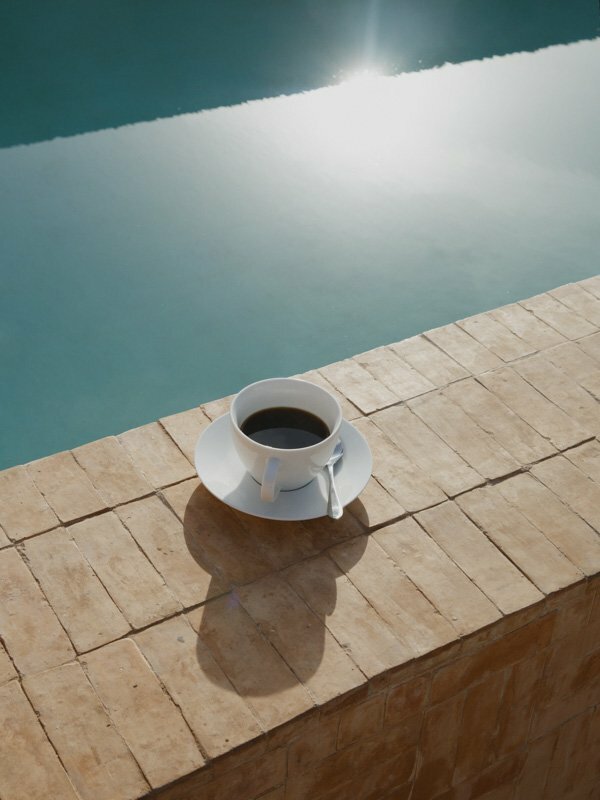 The pool is perfectly located to one side of the terrace with loungers, straw hats and towels for sunbathing and totally relaxing in the sunshine. 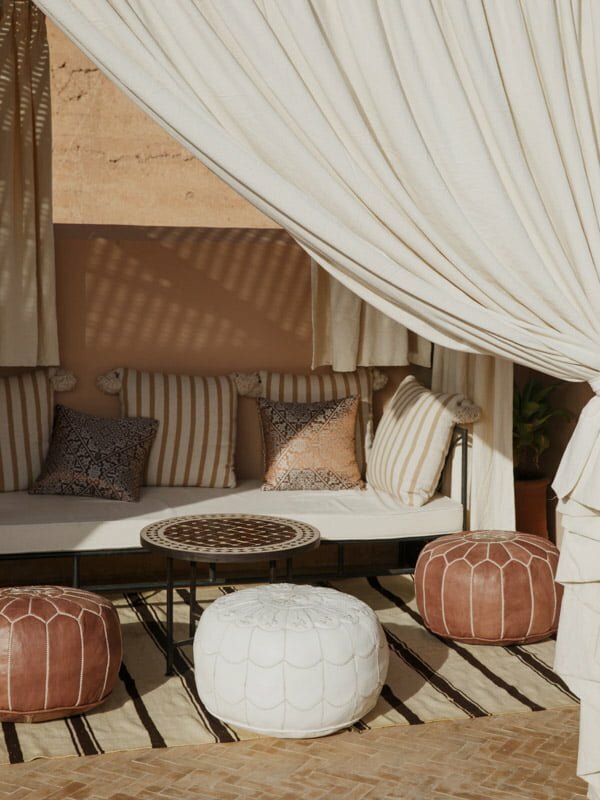 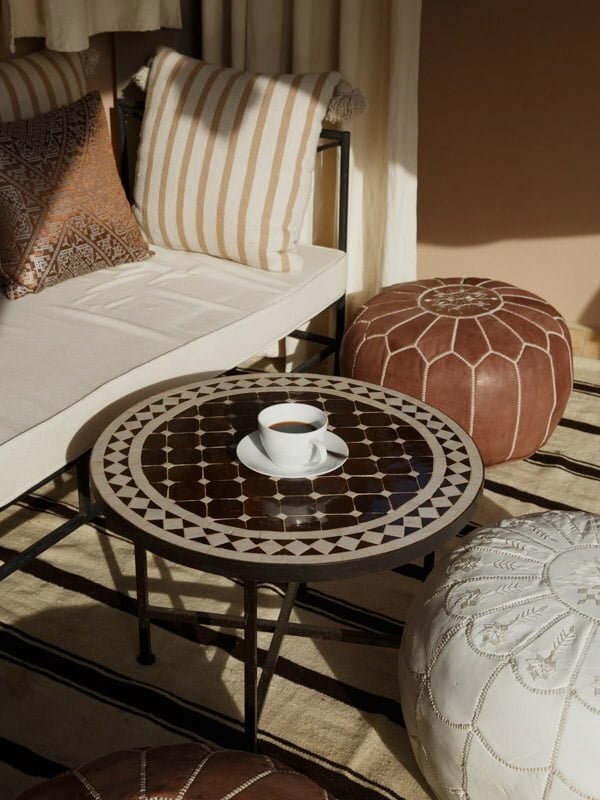 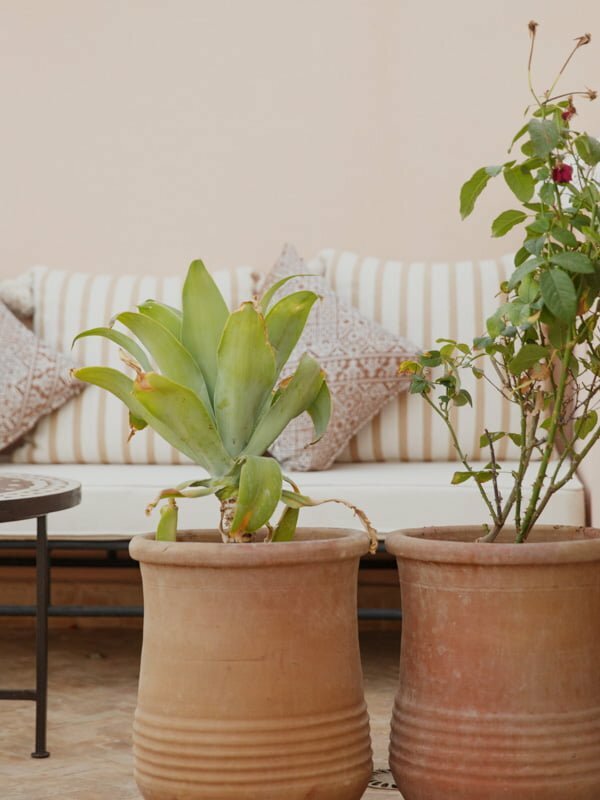 The most amazing aspect to the terrace is just how quiet it is whilst being so close to the vibrant city and the Jemaa El Fnaa Square, allowing you to rejuvenate between adventures into the medina. 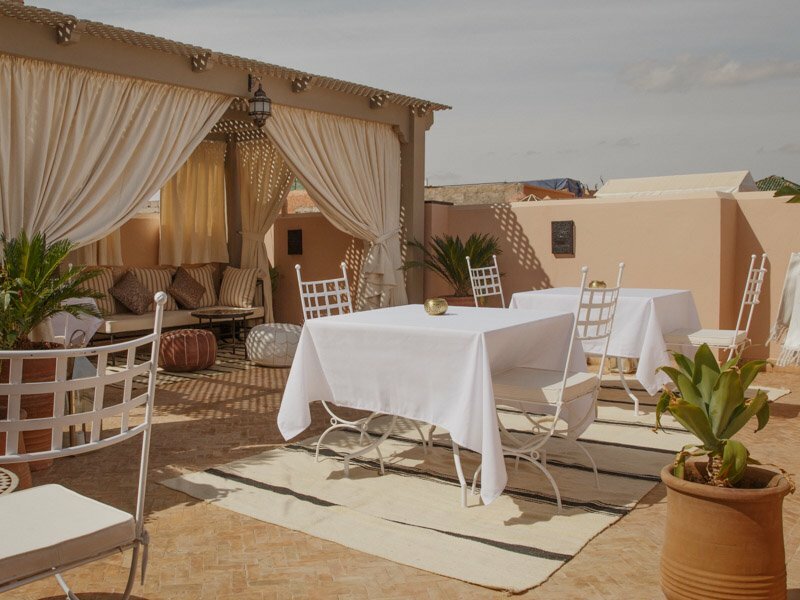 The terrace also has a shaded lounge draped with curtains for taking tea or reading a book in the peace and quiet. 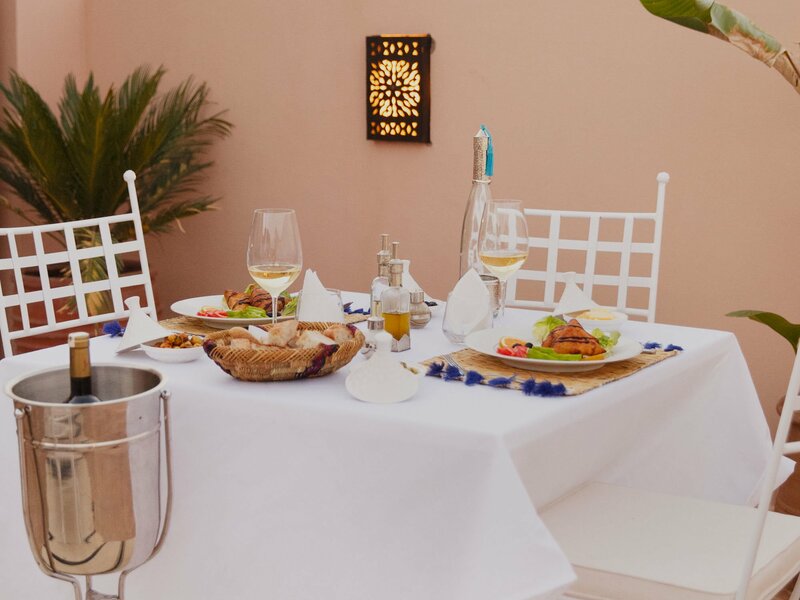 Dinner can be taken by candlelight under the stars on the terrace with fine dining and music during beautiful warm nights.